Considering that tobacco kills nearly 6 million people worldwide each year, the need for global action is crucial. This is more than the entire population of the state of Colorado. Tobacco use remains the leading preventable cause of death. Despite the progress that has been made at the local, national and global levels, there is still a great deal of work to be done. 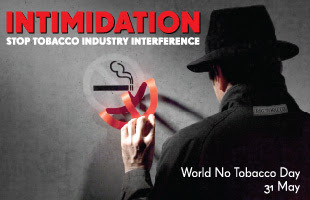 Learn more about World No Tobacco Day and take action now.